We don’t usually consider PineSol, Vick’s VapoRub and Lemon Pledge as food, but it is a good thing that some bacteria can. The active components of those products are terpenes, small organic molecules that are produced by evergreens to repel insects, promote wound healing and prevent infection. The bacteria that can use terpenes as food are a critical part of the forest ecosystem: Without them, the soil would rapidly become saturated with toxic terpenes. Members of the Pochapsky and Lovett laboratories in Chemistry and Biology are curious about what enzymes are involved in terpene metabolism. In particular, why would one bacterial strain feast on a particular terpene (camphor, for example) while ignoring others? The first step in terpene breakdown by bacteria is often the addition of an oxygen atom at a particular place in the terpene molecule, providing a “handle” for subsequent enzymes in the breakdown pathway. The enzymes that catalyze these oxygenation reactions are called cytochromes P450. P450 enzymes perform important reactions in humans, including steroid hormone biosynthesis and drug metabolism and activation. Human P450s are targets for cancer chemotherapy and treatment of fungal infections. A specific inhibitor of P450 is a component of the AIDS “cocktail” treatment, slowing the breakdown of the other cocktail components so the drugs do not have to be taken as often. 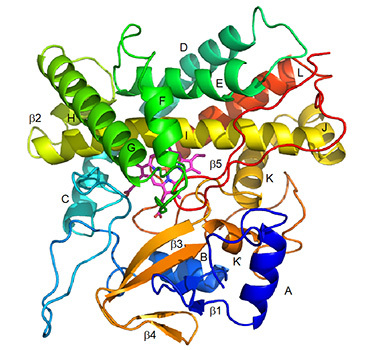 Despite the importance and wide scope of the P450 enzyme family, we don’t know much about how a particular P450 goes about choosing a molecule to work on (the substrate) or where it will put the oxygen (the product). This is what the Brandeis labs are interested in finding out. What particular sequence of amino acids gives rise to the substrate/product combination of a given P450? Answers to this question will aid in drug design and bio-engineering projects. The project employs multiple scientific techniques in order to get at the answers to these questions, including bacterial genome sequencing, messenger RNA transcription, enzyme isolation, activity assays, mass spectrometry and enzyme structure determination. As complicated as it sounds, though, the project lends itself nicely to undergraduate research: Three of the authors on this paper are undergraduates, Phillix Esquea ‘18, Hannah Lloyd ’20 and Yihao Zhuang ’18. Phillix was a Brandeis Science Posse recruit, and is now working with a Wall Street investment bank in NYC. Yihao is enrolled in graduate school at the University of Michigan School of Pharmacy, and Hannah Lloyd is still at Brandeis, continuing her work on the project. Even high school students got in on the act: Teddy Pochapsky and Jeffrey Matthews are both seniors at Malden Catholic High School, and collected soil samples used for isolation of terpene-eating bacterial strains. (One of the newly isolated bacterial strains is named in their honor, Pseudomonas strain TPJM). “A new approach to understanding structure-function relationships in cytochromes P450 by targeting terpene metabolism in the wild.” Nathan R.Wong, Xinyue Liu, Hannah Lloyd, Allison M. Colthart, Alexander E. Ferrazzoli, Deani L. Cooper, Yihao Zhuang, Phillix Esquea, Jeffrey Futcher, Theodore M. Pochapsky, Jeffrey M. Matthews, Thomas C. Pochapsky. Journal of Inorganic Biochemistry. Volume 188, November 2018, Pages 96-101. https://doi.org/10.1016/j.jinorgbio.2018.08.006. 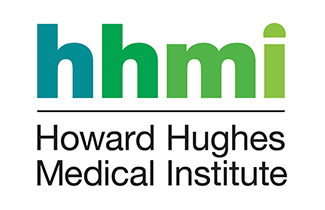 Brandeis is one of 57 schools to receive a $1 million 5-year grant from the Howard Hughes Medical Institute’s (HHMI’s) Inclusive Excellence Initiative, the aim of which is “to create a community of scientists and science educators engaged in 57 experiments, each experiment aimed at understanding how institutional change with respect to inclusion can be achieved.” Under the direction of Henry F. Fischbach Professor of Chemistry and HHMI Professor Irving Epstein, Professor of Biology Melissa Kosinski-Collins and Associate Provost Kim Godsoe, the program has four major thrusts: a) Galaxy, a cohort based program, modeled on Brandeis’s highly successful Science Posse, to provide peer and near-peer support and mentorship for prospective science majors; b) workshops, incorporated into introductory laboratory courses, that address issues such as imposter syndrome, implicit bias and stereotype threat and encourage students to reflect upon the learning environment that they wish to create for themselves and their classmates; c) low-enrollment practicum courses designed to strengthen students’ quantitative skills through project-based research studies; and d) a faculty learning community that will bring together instructors in key courses to grapple with issues that may hamper student performance and retention. The discussions in b) and d) will be informed by written and oral presentations from students and alumni, who will be asked to reflect on how their preparation and their reception by faculty and other students affected their experience in STEM. These initiatives will help Brandeis change the culture and climate of how the community perceives all students studying STEM. A major impetus for this undertaking is the recognition that students in the sciences begin with a wide range of preparation and experience, and that currently retention in science majors is heavily correlated with level of preparation and initial success in introductory courses. Nationally, only 48% if students entering college with the intention of majoring in STEM (science, technology, engineering and mathematics) actually complete a STEM major. At Brandeis the record is somewhat better, but there is still much room for improvement. The programs in this initiative are designed to overcome the “sink or swim” mentality that affects many students (and faculty) by making them aware that, with appropriate support and perseverance, all students can succeed in the sciences no matter where they start from, even if the road is rocky at the start. Regina Tham’20 has been awarded a Critical Language Scholarship. She is among the approximately 200 Brandeis students and recent alumni to receive fellowships and scholarships this year. 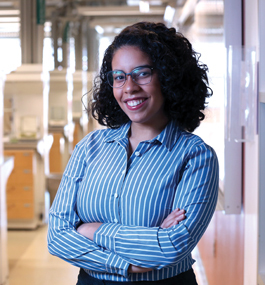 A pre-health student majoring in Health: Science, Society, and Policy, Regina also works in the Leslie Griffith lab and is a Teaching Assistant for General Chemistry Lab. Regina will be using her scholarship to study Mandarin Chinese in an intensive language program this summer. Congratulations to all recipients of the 2018 prizes and awards for the Division of Science and the departments and programs within the Division. (Melissa) Kosinski-Collins, who earned a PhD at MIT, tells them college science is profoundly different from high-school science. With equal parts candor and caring, she sets high expectations, describing the intense workload. The students know that they will be held to lofty standards and that she will support them. Later in the day, they gather around a long lab table in the Shapiro Science Center, in an area Kosinski-Collins calls Hufflepuff — a nod to one of the houses at Harry Potter’s Hogwarts School. An array of equipment is scattered before them — pipettes, balances, bottles of acetic acid (vinegar) and sodium bicarbonate (baking soda). There are also aluminum foil, Kimwipes, Scotch tape and Ziploc bags. The students’ assignment is to build an air bag. When acetic acid combines with sodium bicarbonate, they produce carbon dioxide. The students must figure out how much of each chemical to add to fully inflate a quart-size Ziploc bag. But they also have to protect an egg placed inside the bag. This is where the foil, tape and extra bags come in. Along with the cushion of air, these items can be used to keep the egg from cracking when they drop the bag from the Science Center steps, about 15 feet above the ground. The Division of Science wishes to announce that, in 2017, we will offer seven MRSEC Summer Materials Undergraduate Research Fellowships (SMURF) for Brandeis students doing undergraduate research, sponsored by the Brandeis Materials Research Science and Engineering Center. The fellowship winners will receive $5,000 stipends (housing support is not included) to engage in an intensive and rewarding research and development program that consists of full-time research in a MRSEC lab, weekly activities (~1-2 hours/week) organized by the MRSEC Director of Education, and participation in SciFest VII on Aug 3, 2017. The due date for applications is February 27, 2017, at 6:00 PM EST. To apply, the application form is online and part of the Unified Application: https://goo.gl/9LcSpG (Brandeis login required). SMURF recipients are expected to be available to do full time laboratory research between May 30 – August 4, 2017. During that period, SMURF students are not allowed to take summer courses, work another job or participate in extensive volunteer/shadowing experiences in which they commit to being out of the lab for a significant amount of time during the summer. Additionally, students should not be paid for doing lab research during this period from other funding sources. Interested students should apply online (Brandeis login required). Questions that are not answered in the online FAQ may be addressed to Steven Karel <divsci at brandeis.edu>.